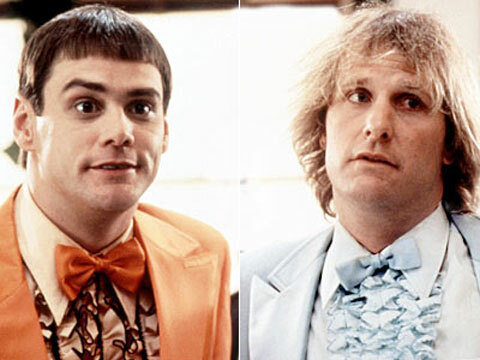 The last time we heard anything about a potential Dumb and Dumber sequel, it involved Jim Carrey possibly returning, with the Farrelly brothers helming the project. While doing a press junket for their upcoming The Three Stooges film, the directing duo gave an update. "We're getting set to shoot Dumb and Dumber 2 in September," Peter Farrelly said. "It's the first sequel we've ever done and we've got Jim Carrey and Jeff Daniels back." He went on to say that they had nothing to do with the 2003 prequel Dumb and Dumberer: When Harry Met Lloyd. "We didn't do "Dumb and Dumberer. That was a studio thing. So we've always wanted to do a sequel and finally Jim called up. Jeff always wanted to do it. We always wanted to do it. Jim was busy, but he called and said, 'We've got to do this thing again.'" It has been 18 years since the original movie followed the pair of incredibly stupid friends on a cross-country adventure to return a briefcase to Ms. Samsonite, er, Ms. Swanson. Are you excited to see Harry and Lloyd back together again? Earlier this year, Hammer Films, the UK studio that made gothic horror movies in the '70s a hit with titles like Twins of Evil and Demons of the Mind, adapted author Susan Hill's The Woman in Black for the big screen. 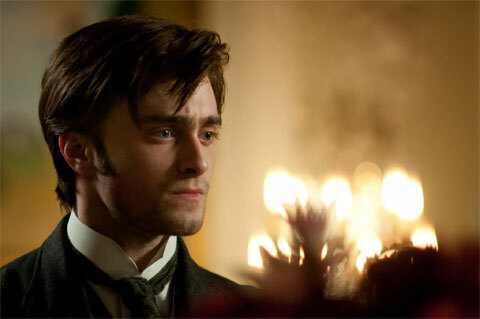 Harry Potter's Daniel Radcliffe played the lead character Arthur Kipps, a widowed lawyer who travels to a secluded village on an important assignment and encounters a vengeful ghost. Deadline reports that Hammer is re-teaming with Hill for The Woman in Black: Angels of Death. The story will continue the tale of Kipps, 40 years later. Angels will focus on a couple and the experience they encounter at the same house. The Woman in Black opened with $33 million and has since gone on to become the highest grossing British horror film of the past twenty years, crossing $120 million worldwide.